Slogan: "If you listen to most candidates, they sound like they'll solve all our problems by magic. Why not elect a REAL magician?" Slogan: "I can fly an X-wing, I have Jedi training and the Force is with me. What more could you want?" Slogan: "Hulk SMASH nation's problems!!" Slogan: "Good children get chocolate. Bad children get flushed down tubes. That's a lesson kids and grownups would do well to remember." Hey! HEY!! Wait a minute!! 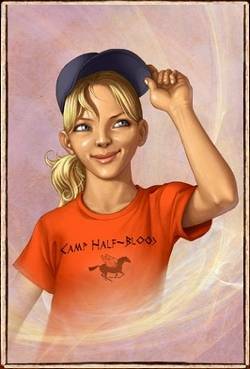 It's me, Annabeth Chase. What makes you think only boys can run for president? There's a female running right now! Didn't I already tell you my name? Slogan: "We ancient Greeks invented democracy!" Very well, everybody, there's a poll on the right-hand side of this blog that lets you vote. Here's your chance, boys, girls and grownups. Make your choice! Let your voice be heard! This poll will close at 11:00 pm on November 8 and I'll announce the results on November 9. May the best candidate win! Love the choices! If there was a woman up for the vote here, I'd hope you nominate Katniss Everdeen, Hermiione Granger, and Jane Eyre. They'd be great presidential material.